Country living at its best! Well maintained home, 6.3 acres, room for livestock w/corral. Lg kitch, S.S/black appliances. Living rm w/new flooring & new carpet in Bedrms, Bath remodeled, newer windows throughout/Oxford triple pane. 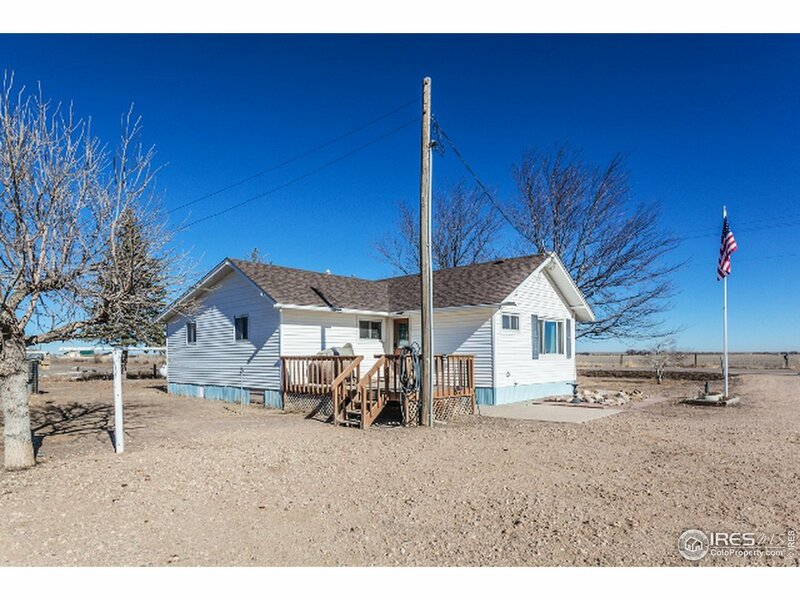 North Weld Water for home, & well for lawn & livestock w/new pump, 48&apos; x 32&apos; machine shed w/concrete floor & wood stove, 30&apos; x 20&apos; original milking barn, garage, few smaller sheds & deck. Comes with AHS 1 year warranty.